Coconut oil is known as one of the few foods that is classified as a “super food.”It’s become part of our daily routine at the Henry household due to its various health and wellness benefits. My husband (a professional hockey player) and several of his teammates use coconut oil as part of their pre-game preparations and in maintaining a healthy lifestyle throughout the tiring season. 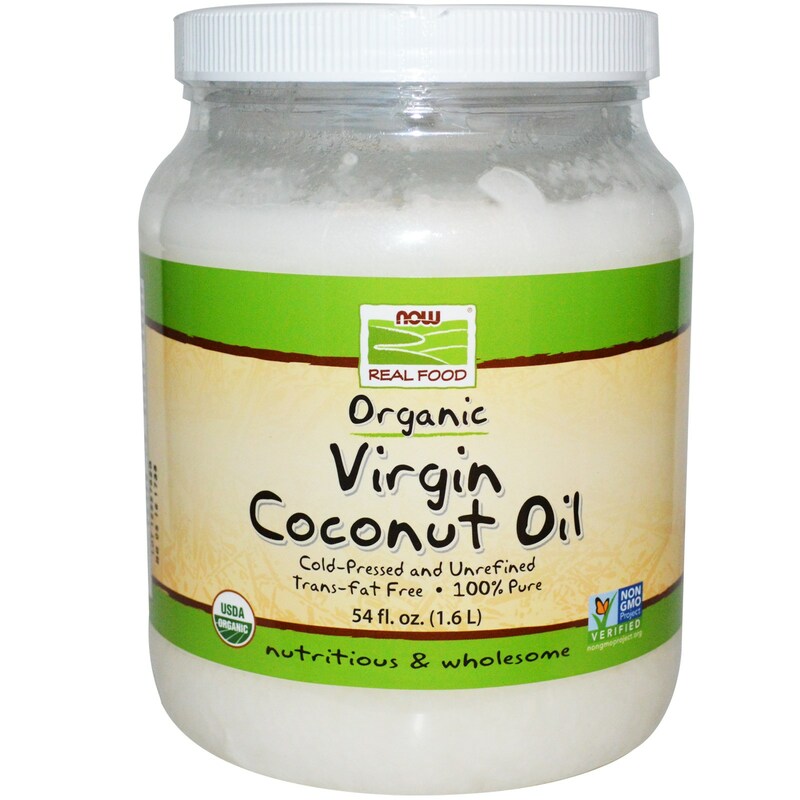 It’s important to only purchase Virgin Organic Coconut oil to keep all the benefits from processing. There are many ways to reap the benefits of coconut oil both internally or topically. See below for preparation and use ideas. Coconut Oil is great for women who need help balancing hormone levels. Coconut Oil naturally balances your hormones and is an excellent fat to consume during menopause as it have positives effects on estrogen levels. Use Coconut Oil for cooking instead of olive and vegetables oils. Coconut Oil increases your energy helping you burn more calories and fat. Athletes like to take a spoon full before a big game to help with energy and performance. Take a spoon full in your water to take to a workout to increase energy and stamina or mix in with a bag of dates for optimal health benefits. Coconut Oil contains lauric acid which kills bacteria, viruses and fungi which aids in staving off infections. A spoon full in your coffee/tea/hot water in the morning can help fight yeast and Candida build up which is a common source of yeast infections in humans. The any viral aspect boosts your immune system and can help fight off cold and flu throughout the Winter season along with combating cold sores etc. Best to take orally to reap these benefits by boiling a hot cup of water and mixing in a table spoon of Organic Virgin Coconut Oil. Coconut Oil is loaded with saturated fats which can improve blood cholesterol levels and can help by lowering your risk of developing heart disease. Coconut Oil can be used as a cosmetic product as it protects your hair against damage, moisturizes your skin and functions as a sunscreen. I use it nightly all over my face and neck in addition to my night time moisturizer. It keeps my skin moisturized without clogging pores or causing breakouts due to the antibacterial agent in the oil. Coconut Oil helps prevent premature aging due to its well known anti-oxidant properties. It helps treat various skin problems such as dermatitis, eczema, acne and other skin infections. Apply topically with your night time skincare regime. Coconut Oil helps improve your digestive system and aids in preventing and curing problems such as IBS and indigestion. It also helps you absorb other nutrients such as vitamins, minerals and amino acids. High levels of antioxidants in virgin coconut oil can help people with arthritis as it reduces inflammation and heals more effectively than leading medications. Heat a bowl of coconut oil (medium heat) and massage into affected area to achieve the benefits. Coconut Oil has been proven to be a natural treatment for Alzheimer’s Disease and Type II Diabetes as it creates ketones which supply energy to the brain without the need of insulin to process glucose into energy. Alzheimer patients lose the ability to create their own insulin so the ketones from the coconut oil create an alternate source of energy to help repair brain function. It also helps balance insulin reactions for Type II Diabetes. 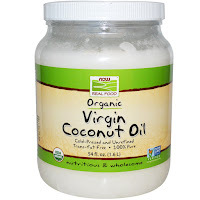 Organic Virgin Coconut Oil can be found at most local grocery stores or health food stores!